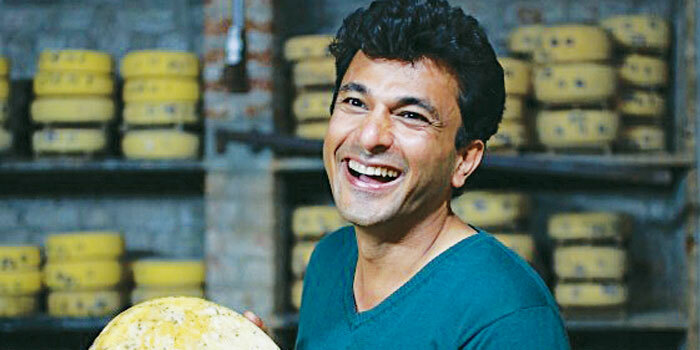 Voted the hottest chef by People magazine in 2011, Vikas Khanna is now back in the country. He is heading to the Jaipur Literature festival, whichA� starts today, to release his book, Return to the Rivers, inspired by a chance meeting with the Dalai Lama. Meanwhile, on air, the celebrated chef is taking us on a journey to explore a new palette of flavours on Fox Travellera��s Twist of Taste Season 3. Khanna talks to us about his love for Indian cuisine and more. This season of Twist of Taste takes you through a coastal traila�� right from Ratnagiri to Pondicherry. You will see that therea��s a lot more to coastal cuisine than rice and fish curry. There is Arab influence as you move to Calicut and Alleppey, French influence in PondicherryA� and Portuguese influence in Goa. It is the variety that makes it so beautiful. Your most memorable experience on the show? Meeting Sarfaraz and his family in Mangalorea��they shared the recipe for their tamarind fish biryani. Another fascinating bit of information: how to make flattened rice. We take it for granted, but the procedure is quite longa��it takes three days to de-husk rice and make poha. Smitabena��s family in Ratnagiri enlightened me and inspired me to use poha the way rice is useda��to make pulao or khichada. Where does India stand when it comes to TV shows on food? Television is a place with scope for a lot of organic growth. I really like the change Sanjeev Kapoor brought in with Khana Khazana. Now we have another celebrated chef on televisiona��Ajay Chopra. Sometimes when I am at the airport, kids come up to me saying they want to be chefs. It is definitely causing a stir. Freedoma��as it knows no boundaries. I cook with all my hearta��be it a new dish, a new show or writing about it in a new book. It gives me freedom. And unity, because it brings people together.